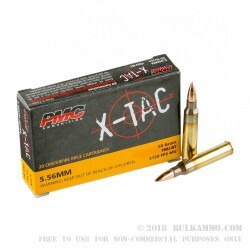 Because they don’t count on outside providers to create their ammunition’s components for them, PMC keeps an amazingly sound grasp over the quality of their products. The South Korean company's consistency is certain to make your AR-15 very, very happy. Q: is the primer corrosive? A: Hello! 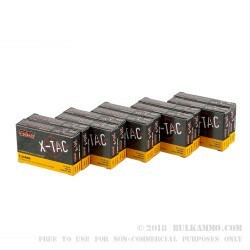 This ammunition is manufactured with all new, non-corrosive components. 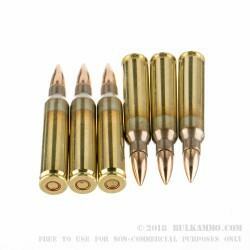 Q: Is this metal core ammo. A: Hello! This ammunition is loaded with a lead core, copper jacketed projectile. This specific round does not contain any steel. 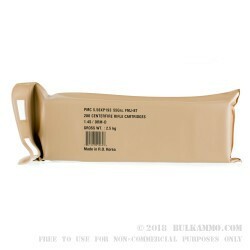 Q: What exactly is a battlepack? Are they in waterproof and sealed containers used to preserve ammo? A: Hello Kelby, A battle pack is exactly how you described. It's a water and air tight package designed to prolong the life of ammunition by keeping moisture and humidity away from the ammunition. A: Hello Jerry, According to PMC, the muzzle velocity is 3270 fps with a muzzle energy of 1306 ft. lbs.